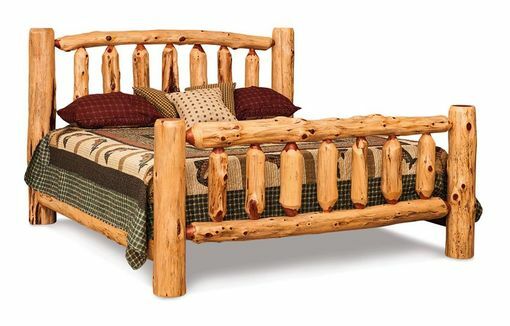 The Amish Aspen Wood Log Furniture Bed is the perfect example of our collection of quality built natural log furniture and is available in a twin, full, queen or king size to fit all your bedroom space requirements. 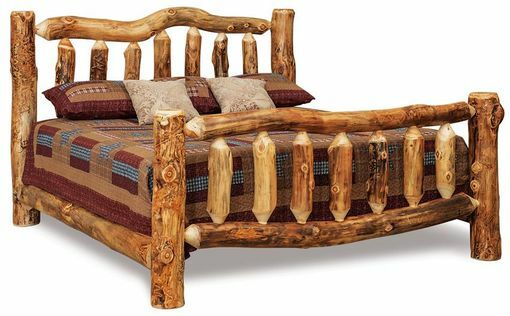 If you are looking to create a rustic theme for your bedroom, then this Aspen log bed is the perfect centerpiece for your home or cabin. 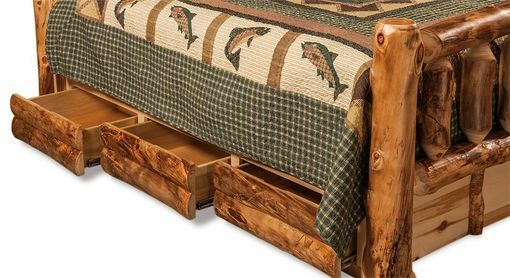 With a variety of optional features to choose from, your custom rustic log bed will be a completely unique and one-of-a-kind piece of log bedroom furniture that you will be proud to own and pass down for generations. A couple of the features available with your log bed include choosing your bed size, foot board height, wood & finish type, and optional under bed storage drawers. The storage drawers are a nice extra feature that include six large drawers (three on each side) with full extension drawer slides, that provide plenty on extra storage space utilizing the often wasted space beneath your bed. 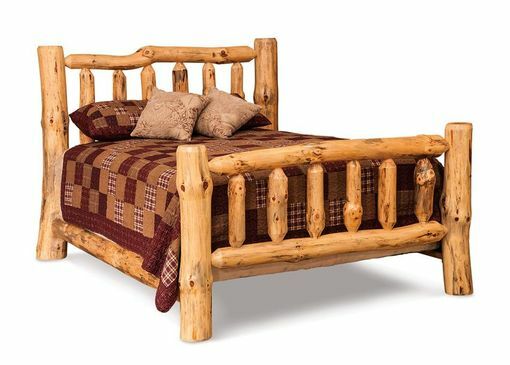 The standard Aspen wood for this log bed is a popular and attractive woodworking material that is abundant across the great lakes and supports much of the logging industry in that area. A great wood for furniture building, you'll find that it doesn't splinter as it wears and resists splitting from nailing and screwing. 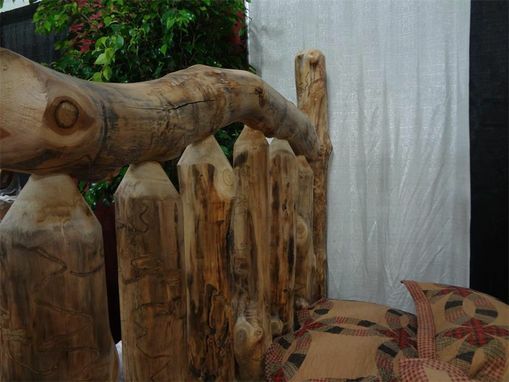 Its toughness and unique characteristics make Aspen wood a favorite of our customers and one of the main wood types in our Rustic Log Furniture Collection. 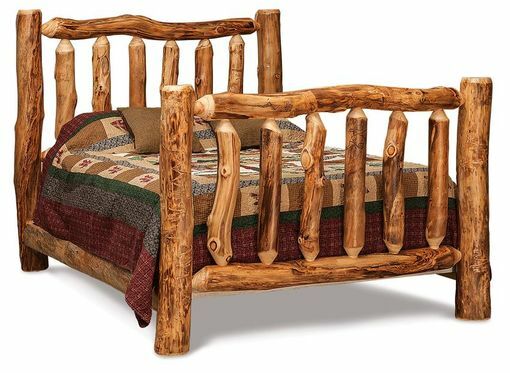 We also offer this bed in red cedar or rustic pine each with their own unique characteristics providing a variety of looks and styles that you can use to design the perfect rustic bedroom for your needs.